January 17, 2017 — Powerful romance is the theme of the Spring 2017 Michael Kors Collection advertising campaign, shot by Mario Testino. 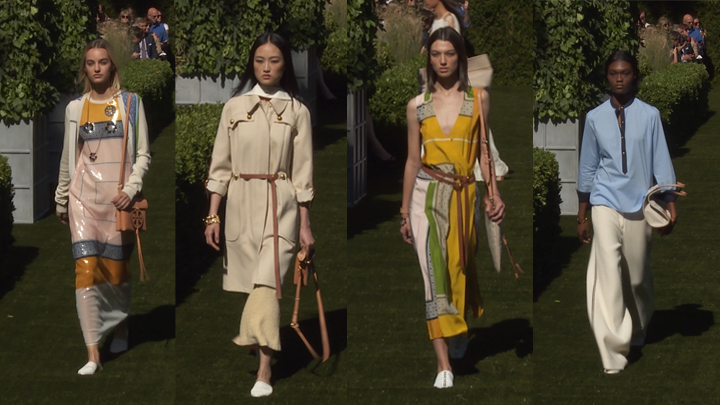 “The combination of strength and femininity was at the core of the collection, and Joan Smalls was the perfect embodiment of that spirit,” says Michael Kors. For the new campaign, Testino captured Smalls luxuriating in a classic car, wearing the season’s standout prints. In hues of azalea and nutmeg accented with white-hot accessories, the bold florals bring chic optimism to the sun-kissed campaign. The MICHAEL Michael Kors campaign brings back house favorite Taylor Hill, alongside Romee Strijd. In keeping with the brand’s jet set aesthetic, the campaign follows two supermodels on the go, shot with a paparazzi-style point of view. Photographed by Mario Testino, the glamorous duo showcase a selection of sleek, warm-weather looks from the MICHAEL Michael Kors Spring 2017 collection. 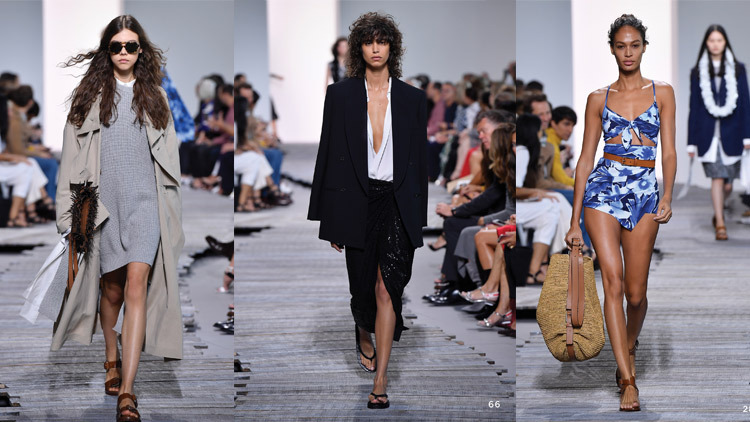 “I wanted to capture the on-the-go, high-glam lifestyle of this new generation of supermodels, shot in a crisp, graphic, warm-weather way,” says Michael Kors. The global campaign will debut in February issues, with ads running in publications including US Vogue, Vanity Fair and Harper’s Bazaar. In total, the Spring 2017 print advertising campaign will reach 39 countries across the Americas, Europe and Asia. The images will also appear in digital outlets, as well as social media platforms and traditional outdoor media placement. See more of Michael Kors’ must-have spring and summer looks at http://www.michaelkors.com.